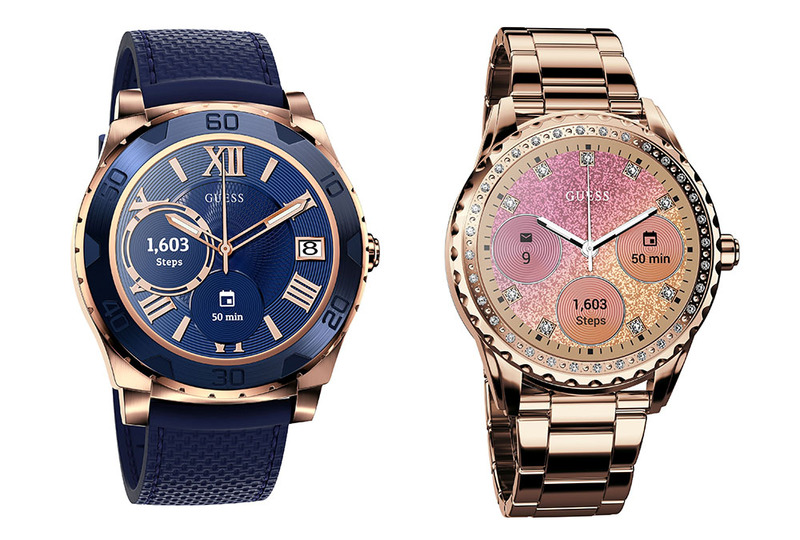 Guess, the “global fashion powerhouse” that also makes watches, is the latest to take a stab at smartwatches with the introduction of two Android Wear devices under its Guess Connect line. The watches run Android Wear 2.0 and will arrive for Fall/Winter 2017, according to a press release. The Guess Connect with Android Wear will come in two sizes, one for the ladies and another for me (their words, not mine). The ladies watch sports a “comfortably chic” 41mm case, while the man piece is a “sleek” 44mm. The ladies version of the Guess Connect will feature crystals, along with silver, gold, and rose gold variations. On the flip side, the men’s option carriers a traditional sport styling. They both run Snapdragon Wear 2100 processors, feature circular AMOLED displays (390×390, 326ppi), and have cases that are just 11.85mm thick. Guess hasn’t really said much more in terms of specs, so if they turn out to be the most amazing set of internals ever witnessed, we’ll be sure to update this post.